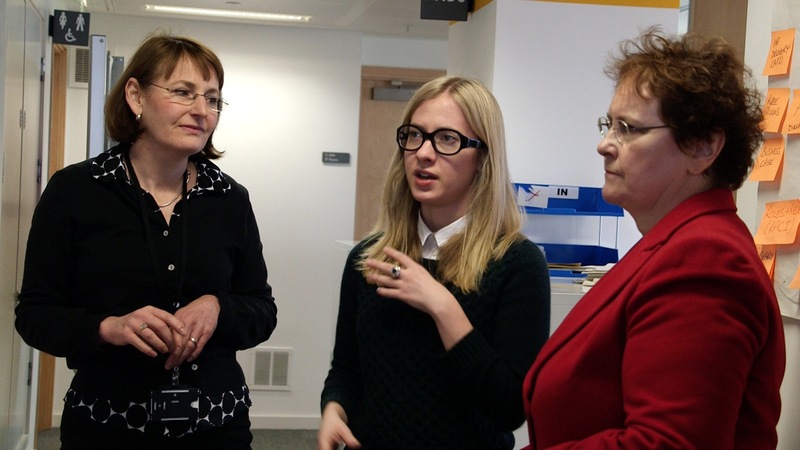 Last Friday, we welcomed MOJ’s Permanent Secretary, Ursula Brennan, as she came to take a closer look at the work that Digital Services has been doing recently. At the start of the morning’s visit, Ursula met the strategy team and heard about plans for the upcoming Sprint Justice event on 28 March. Gemma and Kamala, our technology fast-streamers, outlined progress so far and explained how the event would showcase our work and broadcast the digital agenda. Ursula seemed particularly interested in the agile approach to working that we’ve adopted and how it enables us to deliver quality results quickly. 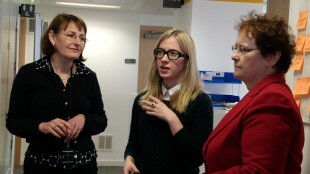 She was able to judge its effectiveness with a hands-on demo of the prison visits bookings service that we're testing. One of our researchers, Liz, then took Ursula through our work on the employment tribunal project. 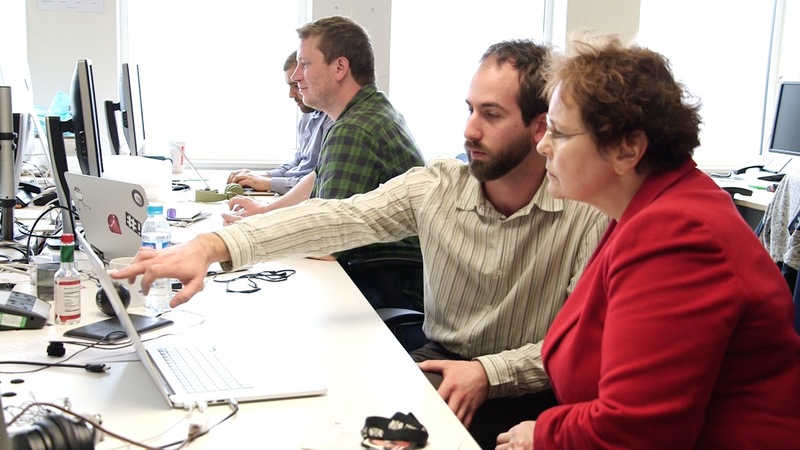 Liz was able to demonstrate how users are at the centre of our development work, and how the project is evolving in response to user feedback. Ursula commented that good customer experience often underpinned efficient and cost-effective services. The visit ended with Ursula fielding a 30 minute Q&A from the whole team. The conversation covered the successes and challenges that the team has navigated. 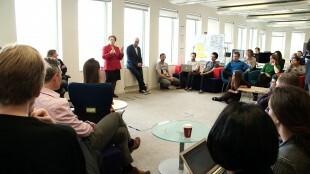 We also had the opportunity to feed in on the strategy for MOJ’s digital future. Having only just moved from another department to Digital Services, Ursula’s visit has given me a positive initial impression of the MOJ. Permanent Secretaries are extremely busy people and I was impressed that Ursula took the time to meet the teams and take a real interest in the work we're doing. Clearly, Ursula is fully on-board with supporting a 'digital by default' agenda, having a clear interest in the digital tools that we've adopted, such as Trello, and in many ways has taken on digital ways of working herself. "The visit from Ursula on Friday morning went really well, she was very impressed by the breadth and depth of the work that we are doing here at MOJ DS. The energy that you all showed on Friday was great, so let’s keep that and our ambitions high!"